Phil Plait, Ph.D., aka, "the Bad Astronomer,'' will be the inaugural keynote speaker, as Misericordia University launches the free Science Speaks Lecture Series for "Now for Tomorrow: The Campaign for Misericordia University" on Wednesday, Sept. 12 at 7:30 p.m. in Lemmond Theater in Walsh Hall. Doors open at 6:30 p.m. The Science Speaks Lecture Series will be offered annually throughout the duration of the "Now for Tomorrow: The Campaign for Misericordia University," and will include a community component. The largest campaign in Misericordia University's rich 94-year history will support construction of the new $35 million Frank M. and Dorothea Henry Science Center and provide significant investment in the Annual Fund and endowment for additional scholarship opportunities for worthy students. Dr. Plait, a public speaker, author and astronomer, will make the presentation, "Strange New Worlds: Is Earth Special?'' A star viewing party will be hosted by Misericordia University physics students immediately after his presentation, weather permitting. The program is free, but registration is required due to limited seating. For reservations, please log on to Misericordia.edu/plait or call the Misericordia University Cultural Events Box Office at (570) 674-6719. 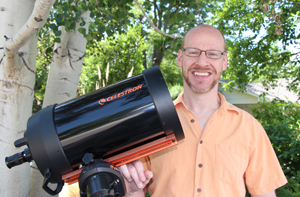 His nickname, "the Bad Astronomer,'' though, actually came about from his popular "Bad Astronomy'' website (badastronomy.com) and blog, and his first book, "Bad Astronomy'' in 2002 to debunk bad science and popular misconceptions. Dr. Plait is an astronomer – earning his doctorate in astronomy from the University of Virginia – and has worked in the field for many years. He worked on the Hubble Space Telescope as a NASA contractor at the Goddard Space Flight Center before beginning his career in public outreach and educational efforts. 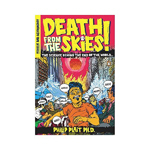 His second book, "Death from the Skies! : The Science Behind the End of the World,'' was published in 2008. It utilizes his wit, humor and infectious love of astronomy to present some of the most fearsome end-of-the-world calamities, while demystifying the scientific principles at work behind them, including the odds that any of them will become reality. Dr. Plait, who has more than 500,000 followers on Twitter, also wrote and hosted the 46-part educational web series, "Crash Course Astronomy,'' that has more than 20 million views. He hosted the TV show, "Phil Plait's Bad Universe'' on the Discovery Channel in 2010 and was the head science writer for "Bill Nye Save the World'' on Netflix. Discover Magazine, Slate and Syfy Wire have hosted his blog. He uses images, audio and video clips in entertaining and informative multimedia presentations packed with humor and backed by solid science when he talks about science and pseudoscience across the United States and internationally. Dr. Plait has spoken at NASA's Kennedy Space Center, NASA's Dryden Flight Research Center, the Space Telescope Science Institute (home of Hubble), the Hayden Planetarium in New York City, and many other world-class museums and planetaria, conferences, astronomy clubs, colleges and universities. CNN, Fox News, MSNBC, Pas TV, Tech TV, Syfy, Radio BBC, Air America, NPR and many other television and internet venues have called upon him for his expertise. In addition, he worked in the Education and Public Outreach field at the Physics and Astronomy Department at Sonoma State University, a member of the California State University system, from 2000-07,. Dr. Plait also worked on NASA-sponsored public outreach programs for several satellites, including GLAST (Gamma Ray Large Area Space Telescope), Swift and XMM-Newtown. Each satellite looks at high-energy forms of light, like gamma rays and X-rays that are emitted by powerful objects like black holes, exploding stars and super-dense neutrons stars. For more information about additional guest speakers for the Misericordia University Science Speaks Lecture Series, please call (570) 674-6719 or visit www.misericordia.edu/news.